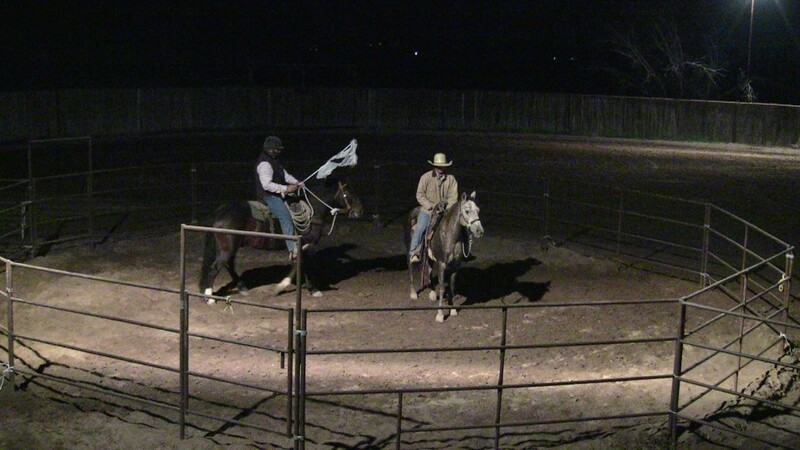 Last night Charlie Hill had the 5th training session with Jodi’s horse. 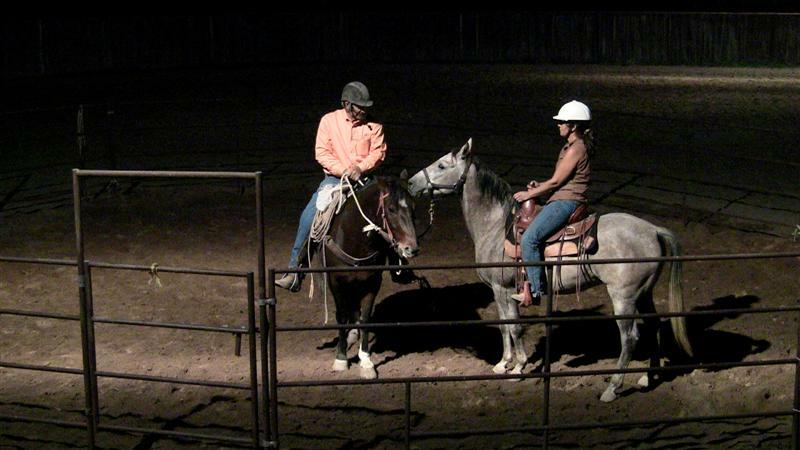 The evening began with Jodi describing the progress she had made with her horse during the past week. 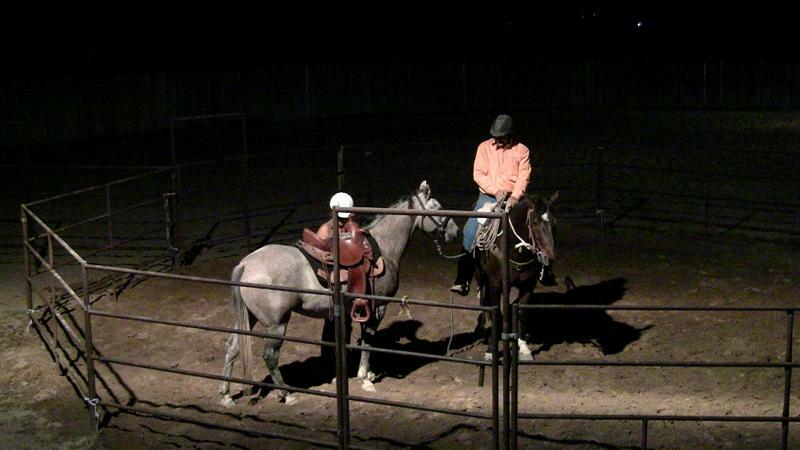 Charlie then spent some time with her explaining how to move the horse while seated on the round pen rail. 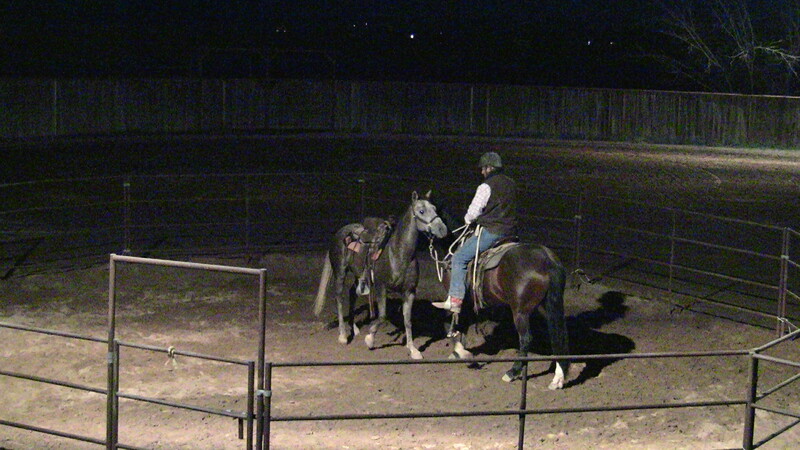 After being saddled, the training continued in the round pen from the ground at liberty. Warrior was then brought back to aid Charlie as he moved the horse under halter and lead rope. 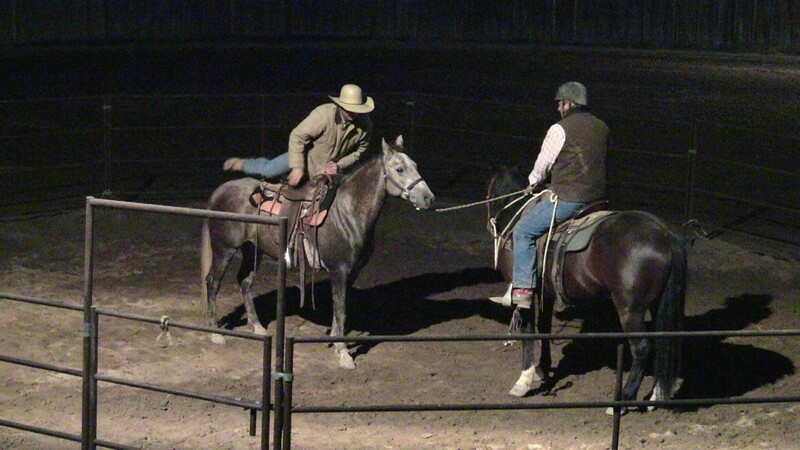 This was all in preparation for Chance Stone to ride the horse under Charlie’s guidance and support. 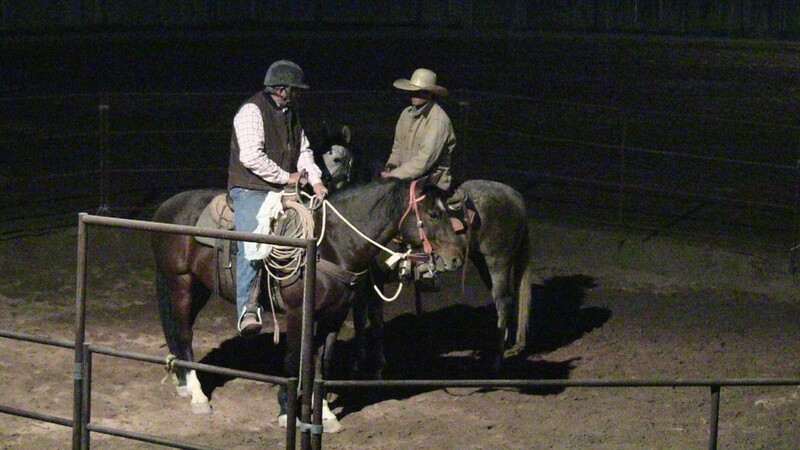 New photo Gallery Page – Rescuing the Rescuer! 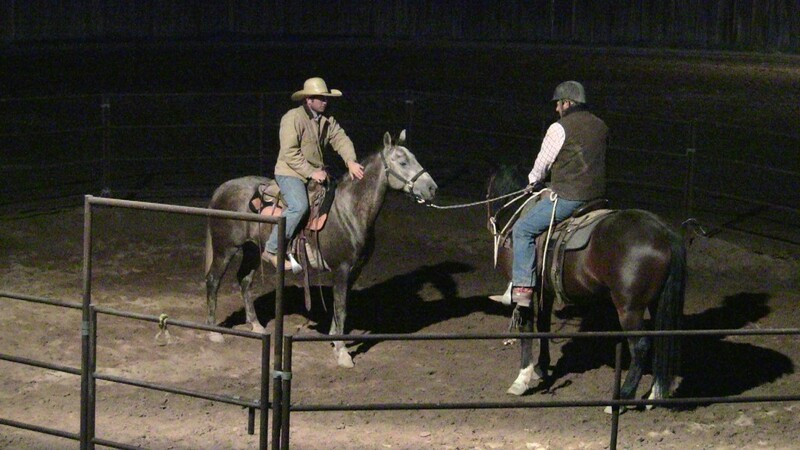 We’ve added a new photo gallery that will document the training sessions Charlie Hill has been having with Jodi’s horse Charlie. 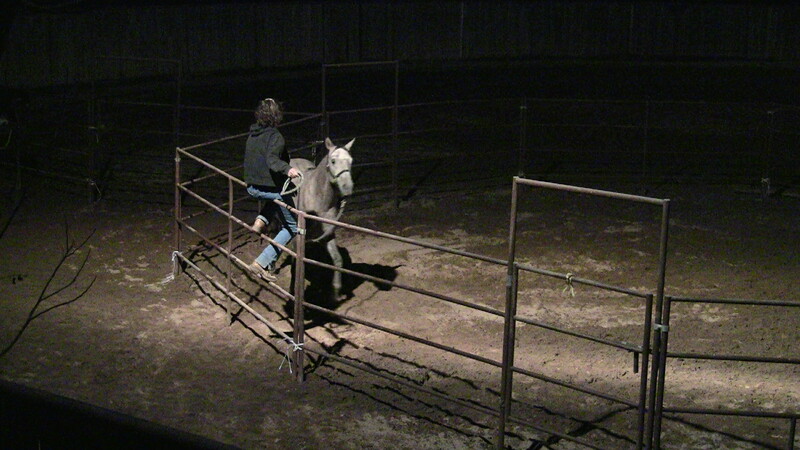 Jodi Roer Veite takes her first ride on her horse. 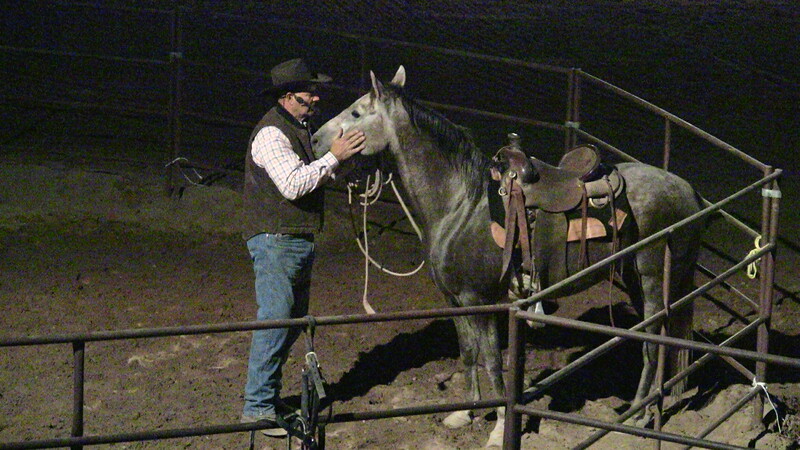 Over this past weekend, Charlie Hill held two more training sessions with Jodi Roer Veite’s horse Charlie. 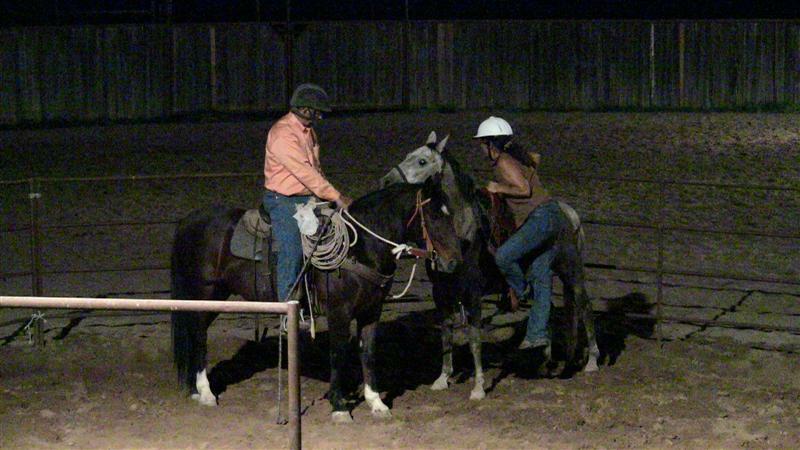 On Saturday evening, Jodi was able to actually take her first ride on Charlie. The pictures below highlight some of the events that occurred. More pictures and video clips will be available in the near future. 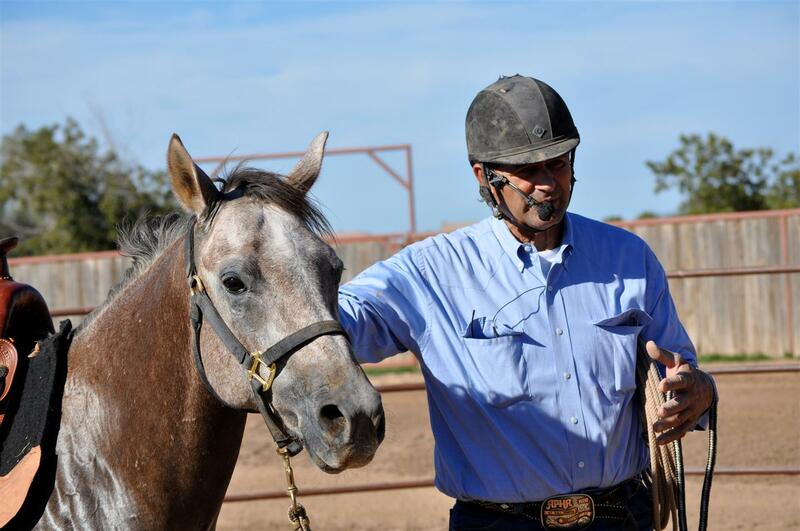 Charlie Hill will be holding his third training session with Jodi Roer Veite’s horse on Saturday November 6th from 5-7pm and then on Sunday November 7th from 1-3 pm. 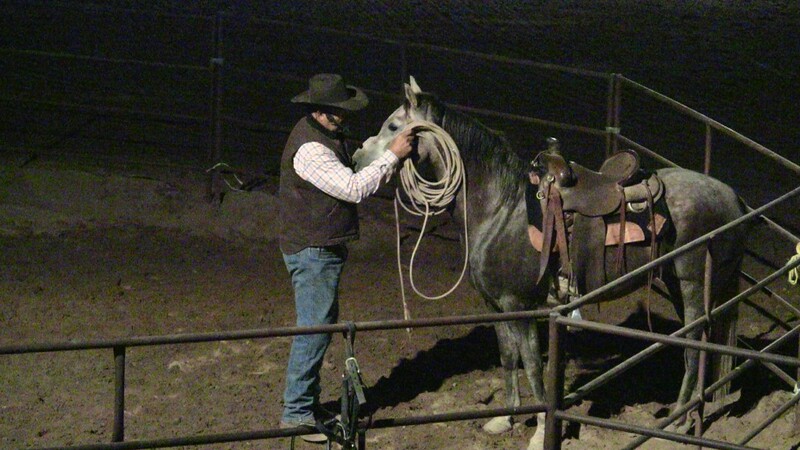 We welcome you to stop by if your interested in seeing Charlie continue to make Jodi’s horse better prepared for her to ride him.